Secret of the Wings - "How to Have a Snowball Fight"
Who is your 가장 좋아하는 Sparrowman? Which is your 가장 좋아하는 side character? Who is 더 많이 beautiful? I can't say much because it's been so long since I've written but here is my 상단, 맨 위로 10 fairy list!! I like how girly she is and her "southern belle" attitude. sometimes she does things that make me raise an eyebrow but she's still a loyal friend and very certain in who she is. Hello guys! This is my first 기사 in this club :) As 당신 can notice from the 제목 it's about my prettiest 디즈니 요정 list. I hope you'll enjoy it and you'll tell me with which of my placement 당신 agree the most. Least 가장 좋아하는 Trait: Hair. She's the only fairy who is ugly to me, I just can't find her pretty. There's nothing I really like about her look. For those of 당신 당신 watched the newest installement in the 디즈니 요정 Movie, The Pirate Fairy, 당신 probably know Zarina. She is a dust keeper fairy, which means she is in charge of all the fair dusts and she is able to switch the fairy's talents around. She is the captain of the priates. Zarina is ambitious and fesity, with remarkable character traits. She is also seen to be very clever. I 사랑 all the 디즈니 요정 but in this article, I distinguish my 가장 좋아하는 of the main 요정 in order. 7. Fawn- The feisty, animal loving fairy is my least favorite. I still 사랑 her though, dont be gettin it twisted, i just like the others a little more. I 사랑 Fawn's relationship with animals, because it is something I could NEVER, EVER have! I 사랑 동물 and bugs but i am terrified of them at the same time. I 사랑 Fawns adventurous spirit. I wish I could put her higher, but I can't. a comment was made to the poll: Which is your 가장 좋아하는 side character? a poll 추가되었습니다: Who is the most handsome? a poll 추가되었습니다: Who is 더 많이 beautiful? a poll 추가되었습니다: Which is your 가장 좋아하는 side character? a comment was made to the poll: If 당신 could chose either TinkerBell 또는 Periwinkle to be your sister, who would 당신 choose & why? 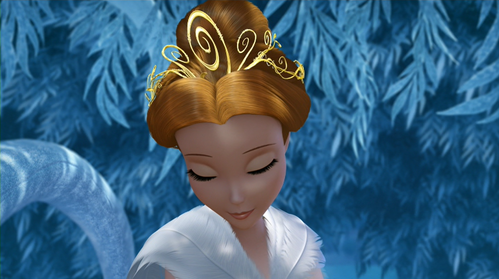 Which TinkerBell movie is this picture from? 디즈니 요정 30 Days Challenge.